Dissolve one portion of the product (30g = ¾ scoop) in 300 ml of water. Drink once a day, preferably immediately after training. In order to compensate for the level of all amino acids, it is a good idea to combine the pea protein with a brown rice protein. 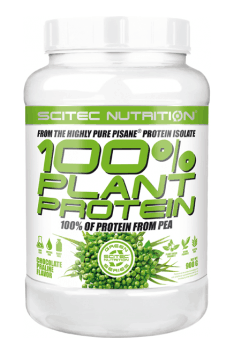 Pea protein fills deficiencies in amino acids sometimes found in rice protein (such as low levels of lysine, compared to whey proteins). The simplest way to incorporate the pea protein into the diet is to add it to smoothies and shakes. You can also use it as an ingredient in many different recipes, including pancakes, homemade bars or cookies. Advanced complex of substances universally supporting health and functionality of the musculoskeletal system.